If you’re a friend or family member, then you will know that I absolutely am in love with Christmas. I can really listen to Christmas music all year long throughout the day. One of the many reasons why I adore Pandora Radio station is that I get to listen to my Christmas music. One of my many favorite parts about is Christmas is being able to make Christmas ornaments and make a variety of different cookies! I decided to share my love of Christmas with showing you one of my projects that I worked on: A candy cane cozy Christmas ornament. These cozies are not only great as ornaments, but that make a great Christmas present accessory item. Once you put your beautiful wrapping paper and bows on your presents, add one of these to add that little extra LOVE to the gift. Whomever receives the gift will absolutely fall in love with you for putting forth that little extra personal touch. One of my talents, that not too many people are aware of, is that I LOVE knitting. I can sit and knit all day long (sorry for the rhyme), but it’s true. I have so many more patterns and DIY Christmas projects to share with you! This pattern is SUPER easy to understand, and anyone of any knitting skill level can do (including little ones that are learning to knit). With Size 6 needles cast on 20 stitches in your main color choice (I chose blue) and then bind off in the same color. knit 8 rows of stockinette stitch while changing colors with every stick (knit 1 aqua blue, knit 1 white* [repeat color block pattern 9 more times = 20 stitches per row]). When sewing the top opening portion, add your choice of ribbon color. Now how easy was that? To add a little more fun to your project, try adding so notions like a different variety of color buttons or add a little silver bell to the bottom of the candy cane cozy. 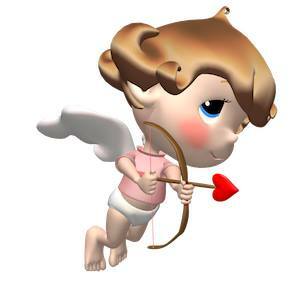 Use Coupon Code: CUPID at Catchacharacter.com to redeem your free photo opp!! Now go to Acadiana’s Thrifty Mom’s page to get more fun prizes!! I recently started to teach my granddaughter to knit and I think this is going to be a cute thing for her to make for our Christmas tree candy canes. Thanks! This simple project makes we so want to start knitting again! Great idea, as well, because the cat is always pushing the canes off the tree – with this coy he won’t be able to. I think this is a beautiful creative ideal.